Here is a fix to a problem that’s been annoying me ever since we were away travelling for the winter. iOS 7 Update: After upgrading to iOS 7 the timezone had reverted to Cupertino time. 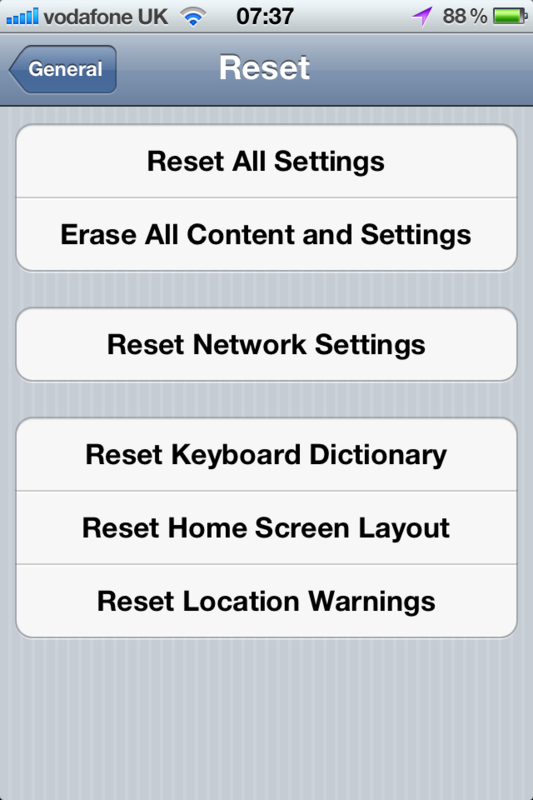 The instructions below we’re not necessary, just go to Settings > General > Date & Time and turn off Set Automatically. 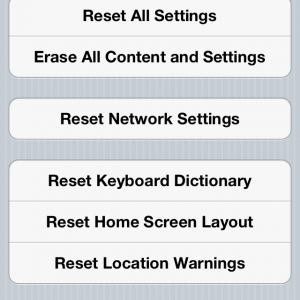 Manually set your timezone, the reenable automatic. 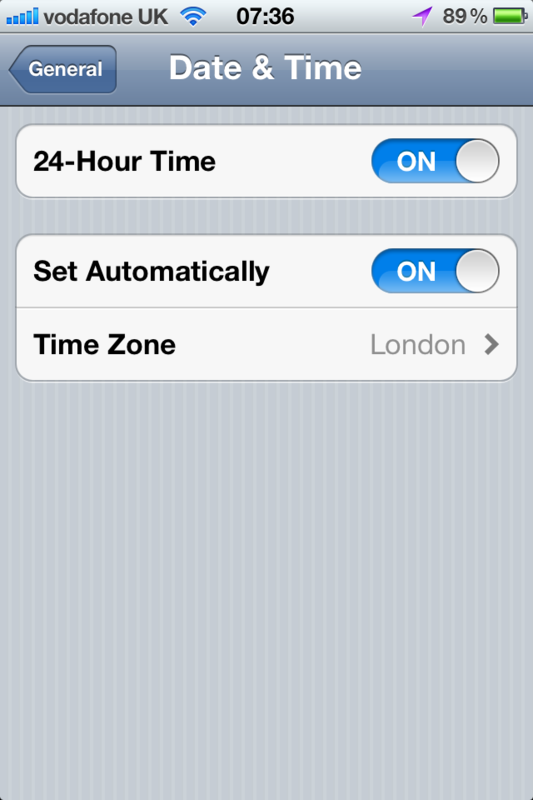 Despite having the iPhone clock settings configured to ‘Set Automatically’ it would show the wrong timezone, and so the clock would be out. Regardless of my physical location in the UK, France or Spain, it would show Barcelona as the time zone location. Whilst in France or Spain this was actually OK as the time zone is common across those countries, but back home in the UK it was wrong. 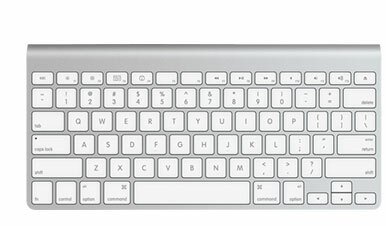 Full shutdown and restart of the phone (hold power button down until prompted to shutdown, then again until the Apple logo appears) – this didn’t work for me. 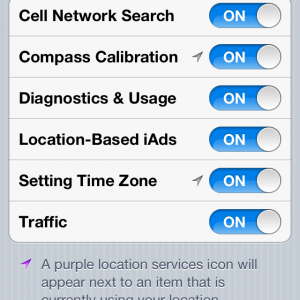 Reset Location Warnings in Settings > General > Reset > Reset Location Warnings – this worked for me, but took a minute or two before the clock corrected itself. I toggled Airplane Mode after this setting and the clock changed at the same time, but not sure Airplane Mode toggle was necessary or coincidental. Patience might have been the trick, but the toggle might have bumped it sooner. 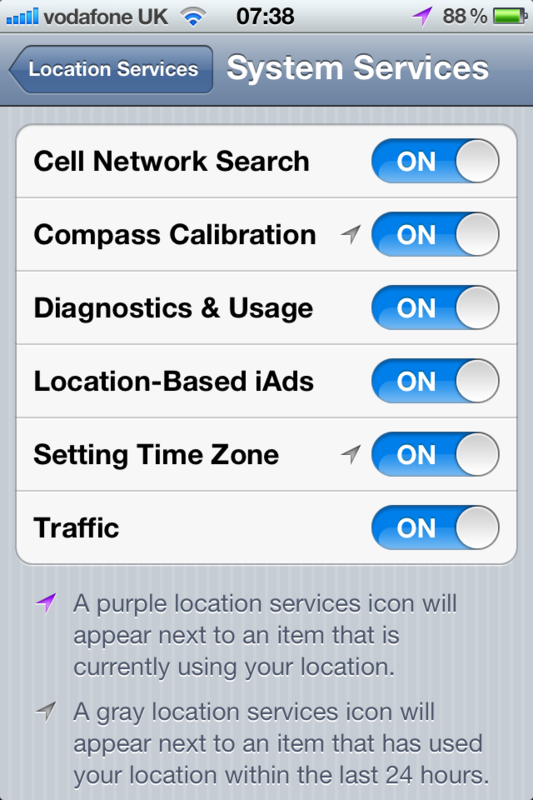 Another setting to check for is Settings > Location Services > System Services > Setting Time Zone to make sure this is enabled. If you have this problem and the above doesn’t work for you, let me know in the comments, especially if you have an alternative fix. It finally worked. Thanks a ton. If I have any problems please help me. I will contact you if any problems occur. Thanks I can’t stop thanking you. Looks like this thread might be too old to expect a reply, but I’ll try anyway. I have had my iPhone 5s for two years and I travel a lot. It has always updated correctly with no problems. Daylight Savings just occurred again, but this time it went ahead Sunday morning like it should have but switched back by itself. The timezone it seems to think I’m in is Metlakatla, Alaska instead of Sacramento. 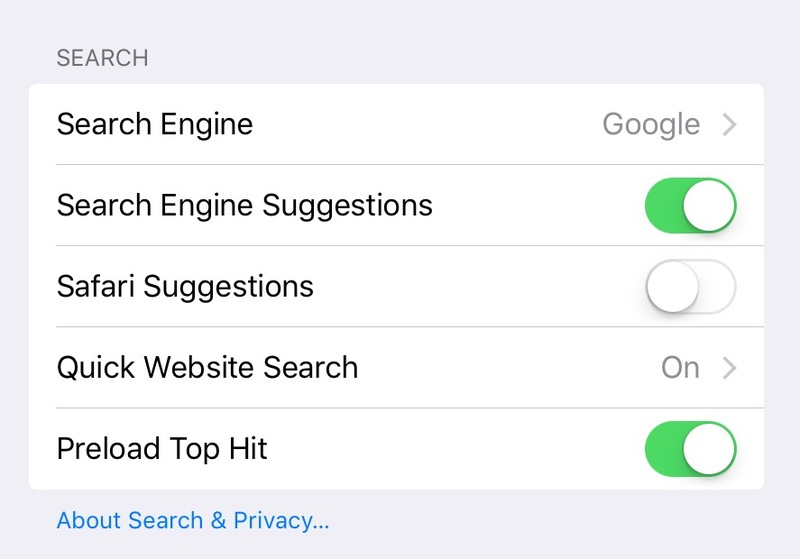 I tried all of your options (my iOS doesn’t have a “reset location warnings,” just “reset location and privacy” and I don’t want to reset my privacy settings..). Any help would be useful. Still didn’t work for me. Not sure what to do. Thanks! The full shutdown worked for me and also fixed an internet log-in glitch. None of these work. my phone keeps insisting that im in GMT time zone when im not. i’m in Texas and using iOS 11.2.6. My clock is way off, and none of these fix it. i really dont want to have to restore the phone all over again in vain.Also when i manually change the time, i go to the world clock and all of those are incorrect. What should i do??! 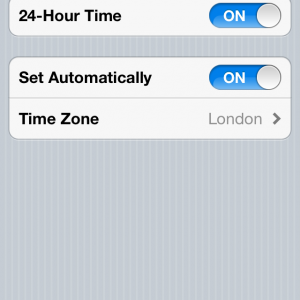 If you disable automatic time zone updates, and set the correct Timezone, can you then set the clock to your correct local time? 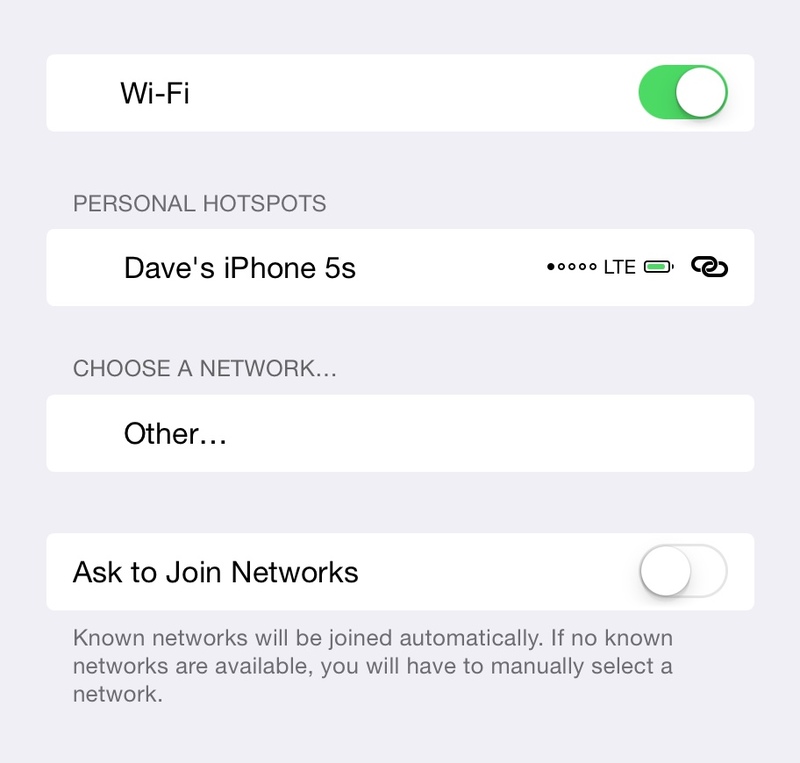 The problem comes often from your WiFi router being identifed as being in a different location. That’s how the system knows which Timezone you are in (and therefore your local time), there is a database of WiFi router locations that they work from, and invalid entries cause these problems. My problem cam about because if travelled for several months with my WiFi router, so it ‘learnt’ it was in Europe, then took a while to correct itself when I returned to the UK. Great article!!!! Unfortunately my timezones is still locked into ‘Cupertino’ (wherever that is? I live in Denver?) I tried most of your options but my ‘auto timezine’ is greyed out and I am unable to turn it off to manually update.